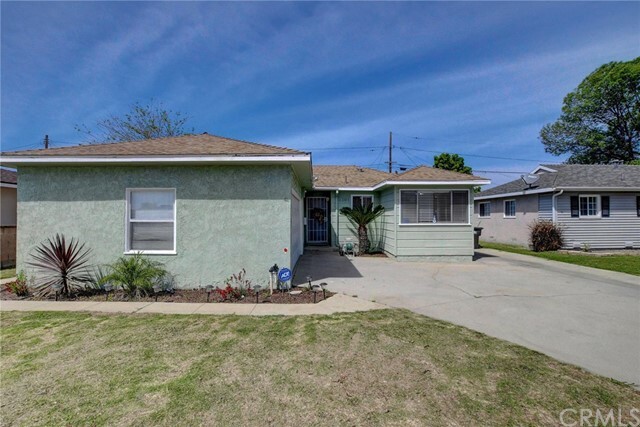 All North Long Beach homes currently listed for sale in Long Beach as of 04/21/2019 are shown below. You can change the search criteria at any time by pressing the 'Change Search' button below. "THIS IS A SHORT SALE. DO NOT DISTURB OCCUPANT. 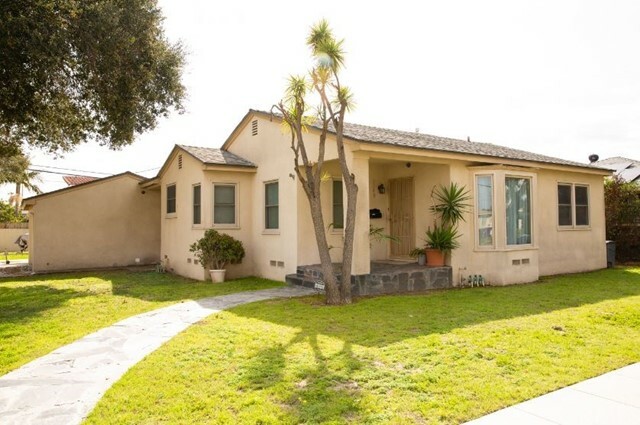 4 bed, 4.5 bath, 2628 sqft single family home located at 15 Via Di Roma Walk, Long Beach, CA 90803 .Property needs repair." "Completely renovated home + separate office reconstructed from the studs! This modern masterpiece will not disappoint! In addition to the main house, you will find an attached, super sized garage with a room for washer / dryer and storage. Great for anyone looking for an investment property, or your own house and office right next door. Located very close to the Long Beach Virginia Country Club on Long Beach Blvd. Office faces the major street, with the house facing a quiet residential neighborhood. Double pane windows, dual solar panels, new air conditioning / heating / HVAC (home and office), permeable driveway and multiple parking spots - even includes an ADA parking spot for the office! Garage has LED lights, skylight and high-end commercial rollup garage door. Back and side yards to enjoy BBQs. Cabinets, counters, high end tile floors, kitchen backsplash, landscaping, sprinklers, triple track closet doors, appliances (including fridge) restrooms, recessed lighting in bedrooms, attic access ladders all new. Amazing master bathroom with dual shower head! House and office are separated by a firewall for true privacy. 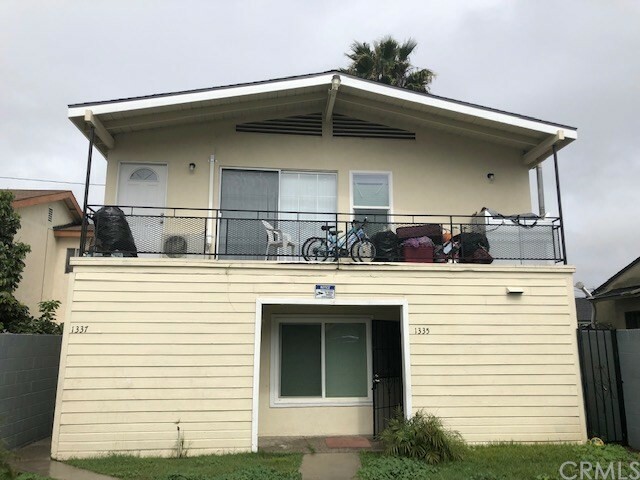 Office has advanced light system that adheres to the City of Long Beach s requirements, and both home and office are wired for security system and cameras. Total structure is about 2,500 square feet (house - 1,300 SF, office - 600 SF and garage - 600 SF). Exact square footage to be confirmed by buyer. Take a look and see yourself here!" 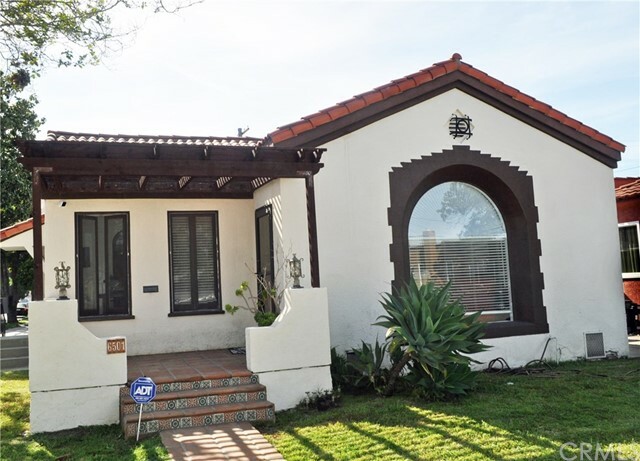 "Beautiful duplex, comprised of two homes on a lot, at 1740 E. Washington St., Long Beach and 5427 Rose Ave., Long Beach. 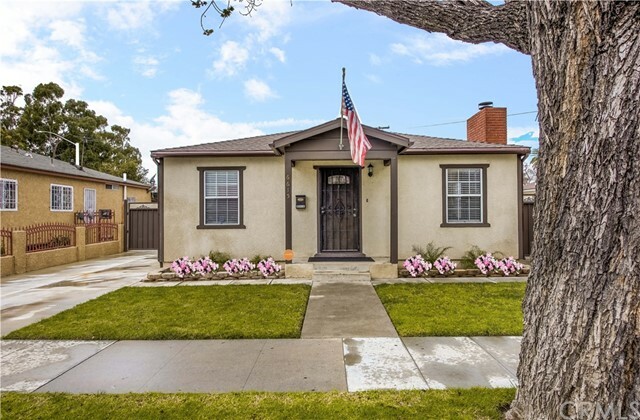 This charming asset in North Long Beach has one 2-bedroom/1.5 bath home (1740 E. Washington) and one 1-bedroom/1-bathroom home (5427 Rose Ave.), both receiving top of the market rents! Both units have been renovated, including the Rose Ave. home being taken all the way down to the studs. Upgrades include new plumbing, new bathrooms, and elegantly remodeled interiors. The interiors of the homes feature newly finished hardwood flooring, new countertops, new paint, dishwashers, and a lovely fireplace. In being taken down to the studs, Rose Ave. received a brand new roof, brand new electrical system, new gas lines, new meters, and a new air conditioning system! The property is beautifully landscaped, with colorful flower beds, stone walkways, and an outdoor patio/deck area. This attractive duplex is situated just blocks from the new Uptown development project in North Long Beach, that will occupy over 100,000 Sq.Ft. of space. The development will include five new restaurants, a full-service bank, as well as North Long Beach's first craft beer hub. The design will serve as the centerpiece for North Long Beach." 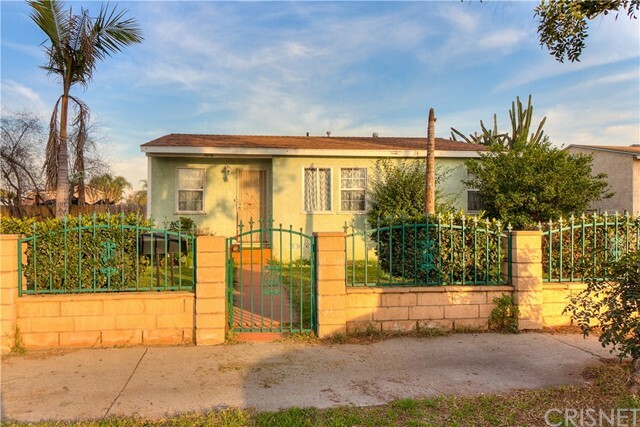 "Rare: 3/2 and a 2/1 Duplex located on a nice street in a wonderful Long beach neighborhood. Perfect for investors or to owner occupy. Great setup to live in one and rent the other! Separate garages and parking out front make this property truly desirable." 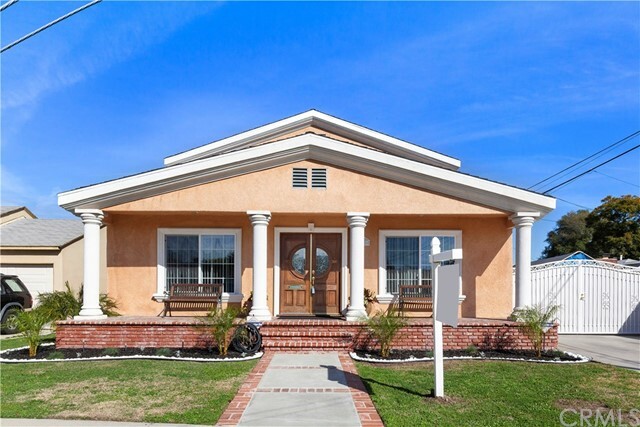 "Beautiful De Forest park home located in the North Long Beach area. TURNKEY and extensively upgraded throughout.Step onto the porch and Enter into the double doors to a gorgeous open floor plan living room/kitchen featuring Dark wood cabinets with glass accents, granite counter tops, stainless steel appliances, full back splash, 2 eating bars and island. Ample cabinet space and storage. House was fully remolded. High end Wood floors throughout, upgraded carpet in bedrooms, custom paint, custom fixtures. All bathrooms have been renovated with custom Granite and tile work. Master bedroom and bath downstairs. Jacuzzi tub and walk in closets. Formal family room with fireplace and French doors out to back yard. 2,620 sq ft with 6 large bedrooms and 4.5 baths. 3 beds and 2.5 baths on main floor. Top floor has 3 large rooms, one with a balcony attached. Staircase with custom hand rails and real wood. Newer AC, newer double paned windows and fully landscaped front and back yard, gazebo for entertaining, stamped concrete, outdoor lighting, and artificial grass.2 car detached garage with rod iron gated entry and concrete block wall for privacy. This house is absolutely stunning and meticulously maintained. Close to the 710 freeway, near all amenities and restaurants. This house will not disappoint! Schedule your showing today and see the best of Long Beach." "EFFECTIVELY 2 HOUSES ON ONE LOT. 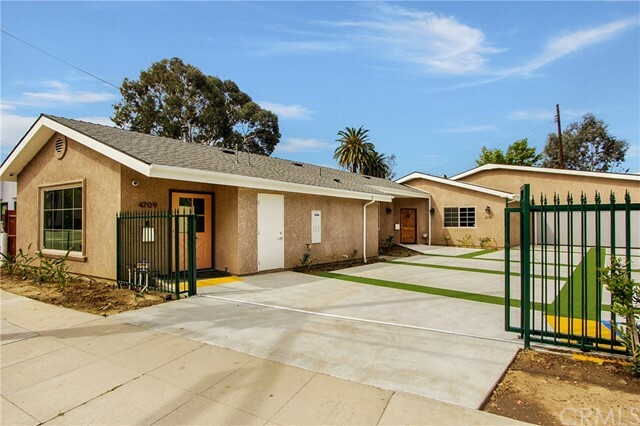 Single Family Home with Brand NEW Accessory Dwelling Unit - Legally Permitted by the City of Long Beach - and Separately Metered for Utilities. --- > PERFECT for Two Families wanting to Live/Qualify Together, or an Investor Looking for Bread and Butter Units in High Demand Area. 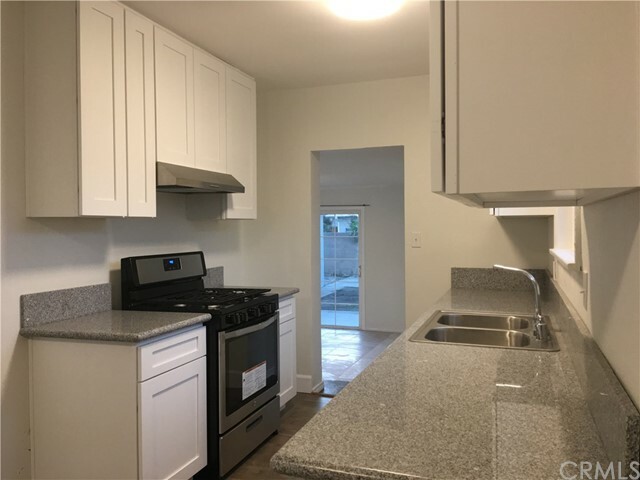 FRONT HOUSE: Remodeled 2 Bedroom 1 Bathroom House with Newer Tile Flooring, Paint, Windows, Blinds, Copper Plumbing, Electrical Wiring and Fixtures, Wall Heater, Wall A/C Unit. Kitchen is Gorgeous with Black Counters and Dark Wood Finishes. Appliances Stay for the New Buyer. Front Porch is Covered for Lazy Summer Nights. 640sqft. BRAND NEW 2018-19 BUILT BACK HOUSE ABOVE GARAGE: 2 Bedroom 1 Bathroom House above 2 Car Oversized 781sqft Garage with Inside Laundry and ROOM to Install a Studio Unit with Private Entrance and Still Park 2 cars. Everything New Construction on the Back ADU. Brand new Family Kitchen into Living Area, Newer Laminate Flooring, Paint, Windows, Blinds, Copper Plumbing, Electrical Wiring and Fixtures, Central HVAC system. 741sqft. LONG Driveway for 6-8 Cars with an Automatic Gate Access from Street. Small Yard Area for Both Houses. Located next to Parks, Schools, Shopping, Freeways, Public Transportation and More." "INVESTOR SPECIAL!! Cash flowing $4500 per month! Tough to find this cap rate anywhere in Southern California! Units can be used for Section 8 Tenants or on the open market. NO Rent Control! 2 year History of full occupancy. Bottom Unit was just remodeled and is back on the market to occupy. This is a great opportunity to buy this Duplex, live in one unit and rent the other one out! Both units have 3 bedrooms and there is parking on the property for 4 cars, possibly 6 cars. Will not last long in this very strong rental market. Down stairs remodel included, Brand New Carpet, interior doors, closet doors, bathroom vanity, fresh paint. Duplex has private gated parking, Large front yard for recreational space, gated backyard for down stairs tenant. Managed by a local management company, 100% passive income and hands free if new owner continues to work with Management Company. Please call today to schedule a viewing and more details!" 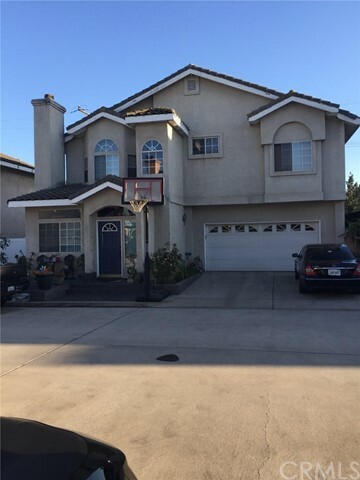 "4 bed rooms and 2 1/2 bath, 2 level home with 2 car garage attached. Easy access to the freeways, 91, 605, & 110. Gated community with low HOA." 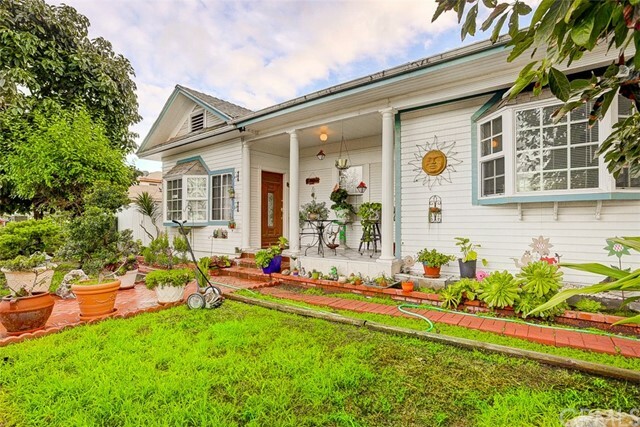 "Gorgeously Remodeled Lakewood Adjacent House. This Modern Spacious Home features 3 Bedrooms and 2 Full Bathrooms with a Large Backyard for Entertaining your Guests! The Kitchen comes with European Flat Panel Cabinets , High-quality White Quartz Countertops and Island, Custom Tiled backsplash, Farmhouse Sink, and All Stainless Steel Appliances. The Bathrooms come with New Kohler Bathtub and Toilets, Smart Jacuzzi Shower Panel, Smart Bluetooth fans w/ Speakers, Backlit LED Mirror, Floating European Vanities, Dual Modern Surface Mounted Sinks and Chrome Faucets, and Designer Tiles. The House offers Water Resistant Flooring, Recessed LED Lighting, All new Efficient Dual Pane Windows, Decorative Fireplace, Fresh Interior & Exterior Paint. Additionally, there is New Front and Backyard Landscaping with Sprinkler System, All Brand New Horizontal Fence & Gates, Modern Solid Wood Front Door, and New Automatic Garage Door." "This a duplex on a double corner lot(s). The 1st unit is a 3-bedroom + 2-bathroom. The 2nd unit is legally a 2-bedroom + 1-bedroom but the tenant has taken down a wall and made it a large 1-bedroom + 1-bathroom unit. The mailing address for the 1st unit is actually 5050 Pacific Avenue. Both units have ample parking. The front unit unit has a large back yard and the 2nd unit has a large covered patio. Dooley Elementary and Perry Lindsey Middle School are no more than a couple of blocks away. Scherer Park and Rancho Los Cerritos Golf course are also within walking distance of this property." "Back On the Market & Motivated Seller. Gorgeous, 3 BDRM /2 BATH renovated home adjacent to Lakewood without the Lakewood price tag. Home features a spacious master bedroom with his and her closets, Stunning kitchen with new cabinets and granite counter tops, custom bathroom designs and a separate indoor laundry area. Living room with inviting fireplace and new flooring throughout. 2 car attached garage and spacious front yard with a long driveway that provides additional parking for you and your guest. Cozy backyard perfect for outdoor dining and family gatherings. 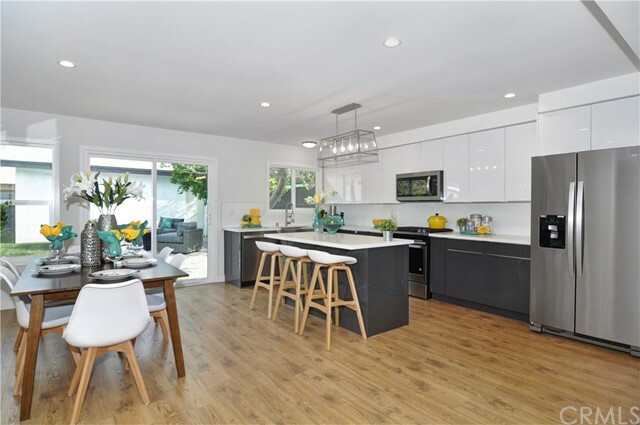 This stylishly remodeled home is turnkey and sure to please the pickiest buyers. 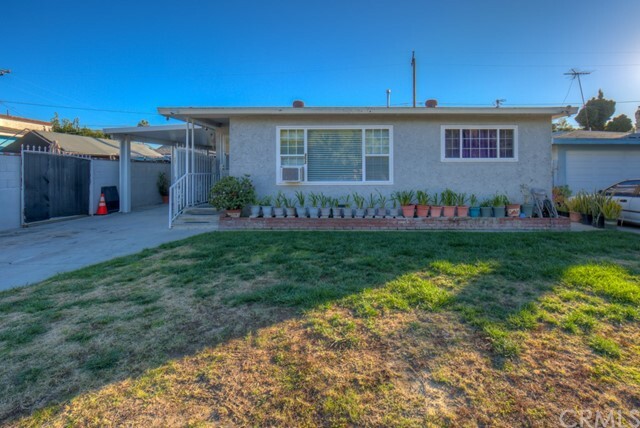 Close to the 91 FWY and Minutes from the Lakewood mall, shopping, dining and entertainment." "Beautiful Deforest Park Home. This home features 4 bedrooms 2 full baths. A custom upgraded kitchen with granite counter tops and tile flooring. A big master bedroom and master bath. Newer roof and water filter through out. Energy efficient windows, custom rear wood patio with beautiful brick work. Long driveway for plenty of parking and a double detached garage. Enjoy a tastefully designed landscaped rear yard. Walking distance to The DeForest Park Wetlands, riparian and upland habitat, accessible public trails, near freeways and shopping." "Seller is motivated to sell! Welcome to the city of Long Beach. This gorgeous property features 3 bed, 2 full baths, 1 car detached garage, and closed concrete patio. Living Room is open to the Kitchen, recessed lighting, new interior paint and flooring throughout the home, two doors that opens to the patio. Master Suite have spacious closet. Short drive to shopping, dining, entertainment, Excellent location with easy access to the 405 and 91 freeways, 5864 Brayton is a must see!" "It's all in the details! This beautiful 1930 Spanish-style home has been updated in all the right ways including central AC. The remodeled kitchen is a dream to cook in with an adjacent breakfast nook to enjoy the morning light and that first sip of coffee. This home features two spacious bedrooms with large windows and original, refinished hardwood floors and one smaller office/bedroom as well as two recently updated bathrooms. Have a twilight cocktail hour on the hard-scaped backyard with arbor and fire circle or host a lavish dinner party in your spacious, formal dining room. Covered ceilings, arched doorways, hallway alcoves and storage--there's even a basement! This house is the perfect marriage of updated, modern living and old-world charm." 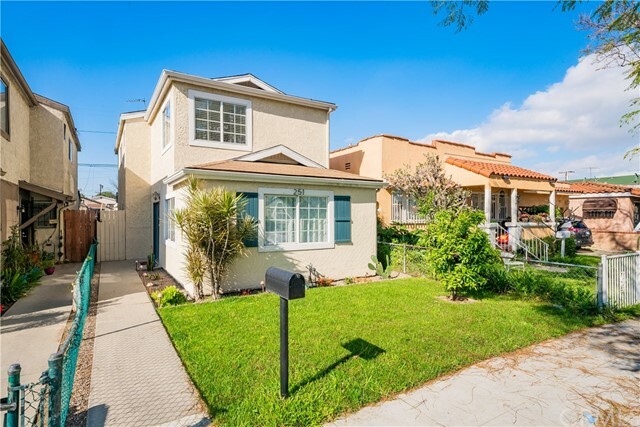 "Redesigned home conveniently located in the city of Long Beach. 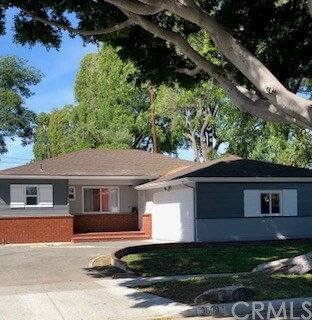 The home is near a major avenue, Willow St; bus stops, walking distance from James A Garfield Elementary School, and close to 710 Long Beach Freeway which provides direct access to 405, 10, and 5 freeways (3 of the major freeways). The home has 3 bedrooms and 2 bathrooms, double paned windows combing the entire home. New hardwood floor lining the bedrooms and living rooms. Kitchen remodel: equipped with new kitchen cabinets, island stainless steel stove, attached bar lounge, tile floors, and granite countertops. Remastered bathrooms with tile flooring which match the tile lining of the shower. Home has a privately walled off front yard, lined with artistically tasteful pillars and crafted metal railing between each pillar; all coming together at the entrance pointing to its direct, honest entry, welcoming the homeowner to their forthright home. Convenient laundry in the garage, which has an expanded capability of 2 cars. Private walled off backyard, definitively set for family get-togethers and festivities. This is a beautifully aesthetic home, with a regal front entrance, yet friendly appearance which is sure to appeal to both friends and family." "This is a lovely Cottage!!! 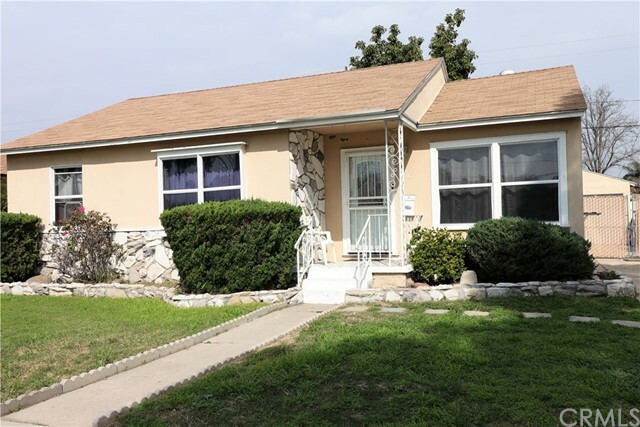 This 2 bedroom 2 bath home has been completely remodeled or redone. Enter into a lovely open living room,dining area and huge kitchen with lots of cabinets, counter and pantry,kitchen is large enough to accommodate a Island. 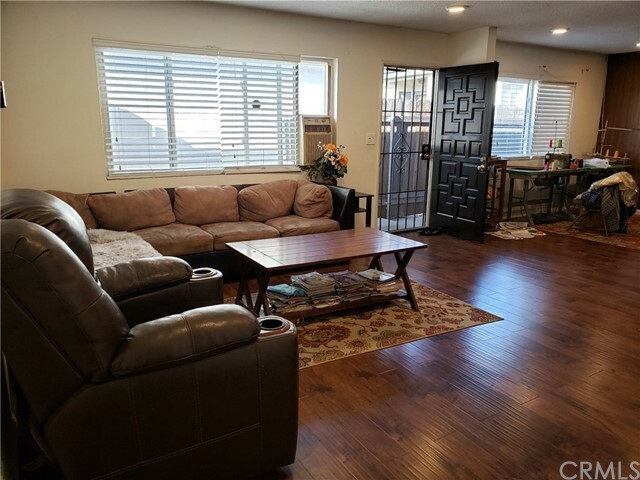 This home features all beautiful hardwood or tile floors, newer double pane windows, new copper plumbing, 1 yr. new AIR CONDITIONER, plenty of parking w/ storage double garage, Beautiful bathrooms and bedrooms. Large master suite with full bathroom, huge walk-in closet with a door that opens to cool patio. Guest bath features a huge tile shower with dark wood storage cabinet. Cozy living room with hardwood floors and awesome brick wood burning fireplace with lots of windows. Inside laundry area. Seller will leave washer,dryer and refrigerator. Huge back yard could accommodate an RV, house addition and completely fenced. Inviting patio for those warm summer nights or great entertaining area. This home is truly MOVE IN READY - HUGE PRICE IMPROVEMENT!!!" "Touring this Beautiful Home Anytime by Clicking on Our 3D WALK VIDEO LINK! THE BEST VALUE IN TOWN! Newly Remodeled, Turnkey Condition, & Ready to Move in! This 3 bedroom 2 bath Home is Located on a Wide, Quiet and Beautiful Tree Lane Street! Home Features: Spacious Living Room w/ Double Glass Sliding Doors Leads to a Serene Backyard. Large Master Bedroom w/ En-Suite Bathroom and His & Her Closets. Huge 2nd Master Bedroom, Conveniently Located Next to the Hallway Full Bathroom (Completely Upgraded Full Bath w/ Shower Enclosure, New Fixtures, New Floor, New Vanity, New Toilet etc......) Country Kitchen Bright and Light w/ tons of Cabinets, Separate Dining Area Just off the Kitchen! Newly Installed Laminate Hardwood Flooring. Sprinkler System Front and Rear! NEW Solar System Provides Big Savings on Your Electricity Bill! Large Two Car Garage w/ Plenty of Cabinets and Shelves ...... Laundry Hookup Inside of the Garage! Large Covered Patio Perfect for Entertaining and BBQ! Manicured, Private, Park-like Backyard Perfect for Your Kids and Pets! Great Over 6000 SQFT (Dimension 62 x 99) Lot w/ Cinder Block Fencing! RV Parking on Site! Terrific Location: Easy Access to 91, 710 Freeways, Short Distance to Lakewood Mall, Lakewood Regional Hospital! Surrounded by Parks, Schools and Shopping Centers! It Won't Last! Hurry :-)!" "WONDERFUL POOL HOME LOCATED IN NORTH LONG BEACH HAS 3 BEDROOMS, 2 BATHROOMS, INCLUDES MASTER BEDROOM & BATH WITH JACUZZI TUB. LAUNDRY ROOM. BONUS ROOM, UNPERMITTED ADDITION, GATED PARKING, COVERED PATIO, FENCED YARD." "Located within the Long Beach School district, Zoning LBCNR, mixed-use development. this beautiful 2 unit property #6525 and #6527 complete upgrade turnkey property . 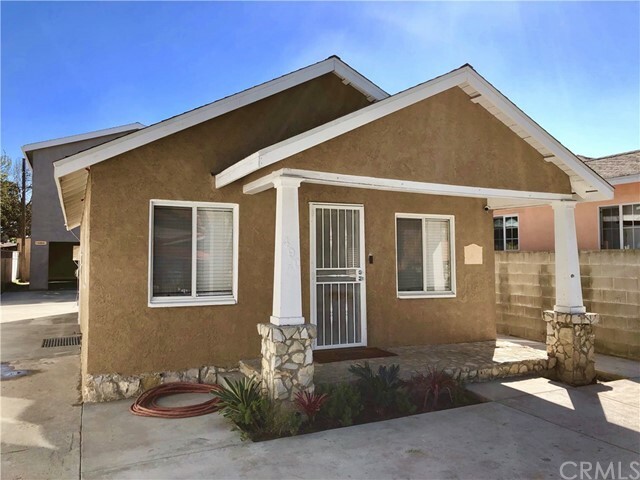 It has A Front Store and a single house with 2 bedrooms 1 3/4 bathroom and 2 offices, and is just minutes away from the 91 FWY and 710 FWY, Grant Elementary School, Houghton Park and numerous restaurants and stores. Front Store unit is surrounded by glass windows allowing great natural lighting into the spacious room, a half bath and is ready for any owner allocated purposes. The Single house back unit opens up to a large living room, to the right is a large family room that has been converted to two office, to the left is a full restroom and a bedroom with large wall unit closet. The living room leads to the kitchen and a step down from the kitchen is a large bedroom/family room with an open wood fireplace, tile bathroom and glass sliding doors that opens up to a covered concrete patio and fenced backyard. The house features also include new water heater, new double wall heater, new appliances in the kitchen, and new double panel windows. In addition to the driveway that can accommodate multiple vehicles there is also a one car detached garage." "Welcome home! This 4 bedroom 1.5 bath home is located on a quiet and welcoming street. Just a few steps up the porch and through the beautiful leaded glass door will welcome you to a warm living room with hardwood floors. The dining area leading into the kitchen creates a great place for friends to come together and relax over dinner. Extend your gathering into the spacious backyard with large deck to relax. The large master bedroom features a walk in closet and French doors opening onto the deck for a private getaway. The two car garage has plenty of room for your cars and storage. DeForest Park and Wetlands has something for everyone from a playground to bird watching. Easy access to the 710 and 91 freeways." 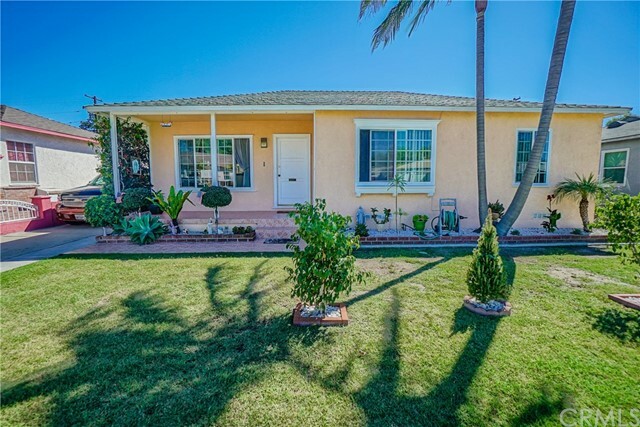 "Welcome to the most gorgeous and well maintained 3 bedroom and 2.5 bathroom in North Long Beach. All bedrooms are all upstairs. Backyard has enough space to entertain your love ones. So much potentials with this floor plan. This home is perfect for a small family with school age children. School is across the street. Easy access to freeway and shopping centers. Don't miss out on this great opportunity to make it yours! You will love it!" 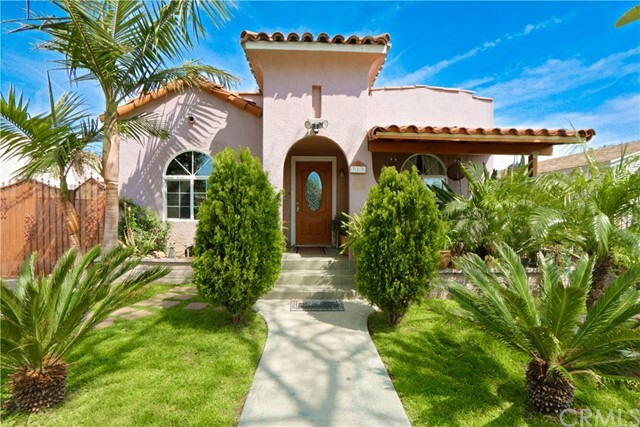 "Come see this Spanish Style home that has lots of great space to offer. 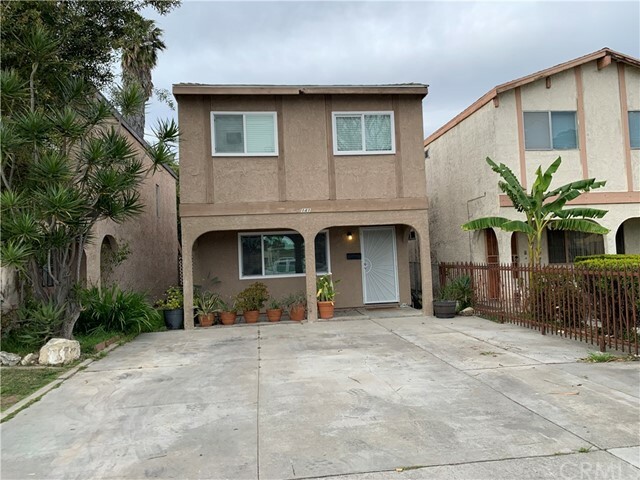 This very spacious homes features 3 bedrooms, a living room area, upgraded kitchen, dinning area, 2 bathrooms .one bedroom is located on a 2nd level with a outdoor patio area. This home offers great space for a big family or if you just needing more space. The Property also features a detached 2 car garage. The Property is gated all around and offers lots of great privacy. The back yard is a delight. It offers a nice spacious big back yard that allows you host great family events . This home is a must see. You have access to close by freeways like the 710 fwy, 91 fwy and 405 fwy. You have great shopping centers, parks and schools near by"
"Great starter and ready to move-in home! Step into your spacious living room and enjoy the wonderful natural light. Your completely remodeled kitchen has a great island open to a dining area and family room. One bathroom is conveniently located downstairs for your guests. All of the three bedrooms and the second bathroom are on the 2nd level of the property. Step out into charming patio with direct access to your two car garage. Hurry- this one won t last!" "BACK ON THE MARKET! Well kept spacious 3Br/2Ba home close to Scherer Park. Amenities include a master bedroom and master bathroom suite, hardwood floors, dual pane vinyl windows, recessed lighting and an inviting open floor plan-perfect for entertaining and everyday living. Tons of natural light, tiled kitchen floors and bright white kitchen cabinets. Indoor laundry with lots of storage space. The home boasts a long driveway with gated parking as well as a detached 2 car garage and covered patio. Behind the garage you'll find a spacious rumpus room-perfect as a playroom or home office. 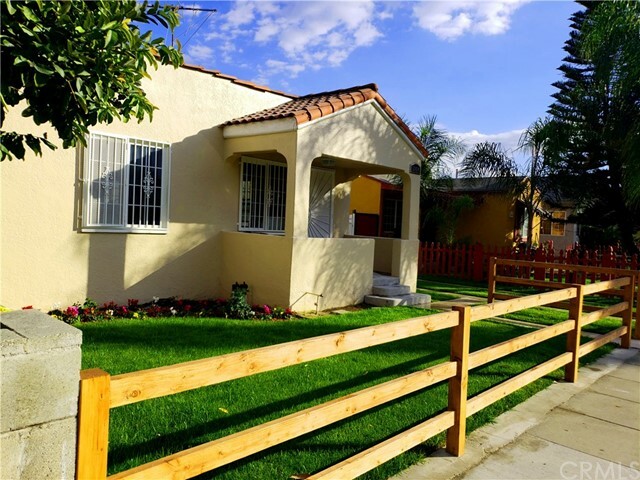 Close to public transportation, centrally located to schools, the 710 freeway, shopping centers, parks and more."